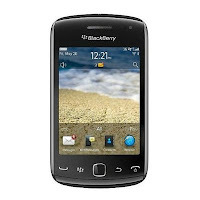 The BlackBerry Curve 9380 is a stylish and sleek All-touch phone. It has the right size and weight, which helps in quickly accessing the applications in the handset. The TFT touchscreen is packed for a crisp, clear display. The device sports a camera with auto focus. The LED flashlight helps you take pictures in the dark. The phone also allows VGA video recording with the built-in video camera. The touch sensitive controls help you to zoom into the picture easily. Other camera features like geo-tagging, face detection and image stabilization let you take pictures with better quality. The smartphone is powered by a standard Li-Ion battery which gives a talk time up to 5 hours each on 2G and 3G. When fully charged, the Curve provides a standby time up to 360 hours on 2G and 3G. You can tune into your favorite music numbers throughout the day as the battery supports music back up to 30 hours. The Curve has a capacitive touchscreen which lets you easily scroll through the applications and icons. The smartphone has a glossy surface with the primary camera located at the back. The Optical trackpad makes navigation on the phone smooth. The phone features four back-lit call option buttons at the bottom of the display screen. The dedicated camera button is present beneath the volume rocker at the right side of the Curve and the flashlight is situated next to the camera. Charging is done through the micro-USB port, which is featured on the left side of the smartphone. The audio jack is set on the top edge, where you can plug in any generic headphone and enjoy listening to music. Other features like proximity sensor for auto-turn off is also present in the handset. Connectors let you transfer data like videos, images and music tracks with other devices. The preloaded SNS applications lets you access Twitter, Facebook 24x7 and stay connected with your friends. You can also check your personal and professional emails through the Push Email facility installed in the handset. Instant messaging allows you to chat with your friends even on the go. You can access the Blackberry App World and download applications according to your needs and interest. 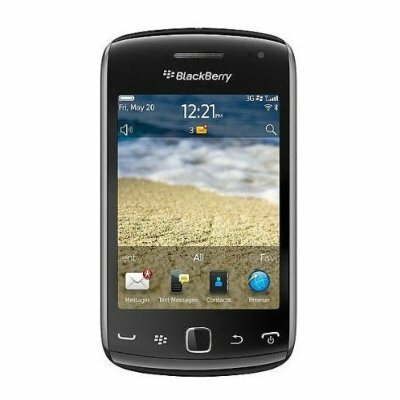 Other applications like Blackberry Maps, Document editor (Word, Excel, PowerPoint, PDF), Document Viewer and Organizer are also available in the handset. The device helps you to pinpoint your location, plan your route and get directions with the in-built A-GPS. Other features like predictive text input, games, MMS enabled, UMA technology, NFC and voice input are also installed. 2. Attractive 'corporate' look and feel. 6. Better than all other entry-level BlackBerry models. 7. Robust hardware and a sleek form factor. 10. LED flash for the camera. 2. Earphones not that great when compared to that of Sony. 4. Smaller screen size. Not for Samsung lovers. 5. The phone has to be re-booted, each time an app is uninstalled, for the changes to take place. 6. Inconveniently thin Volume and Camera buttons on the right. 7. No secondary camera for video calling. If you are looking for a good-looking phone to avail business features, then this is the perfect choice for you. If you are looking for apps, go for an android device instead.